JD.com recruited 25,000 employees from the poorest counties, in addition to nearly 60,000 village promoters in rural areas. JD.com has conducted more than 630 e-commerce training sessions, benefiting more than 100,000 people from 28 provinces and districts across China. More than 100 e-commerce incubators for young entrepreneurs have so far been established. JD.com was the first e-commerce company to set up a special platform to sell products from rural areas of China. More than 3 million products in 136 categories sourced from rural areas are available online and have achieved sales volume of 20 billion RMB, benefiting more than 300,000 people from 832 of China’s poorest counties. JD.com has launched 188 local specialty malls on its platform, benefiting 90% of the poorest counties in China. Wenxing Liu, 72 years old, is from Wuyi County, Hengshui City, Hebei Province. 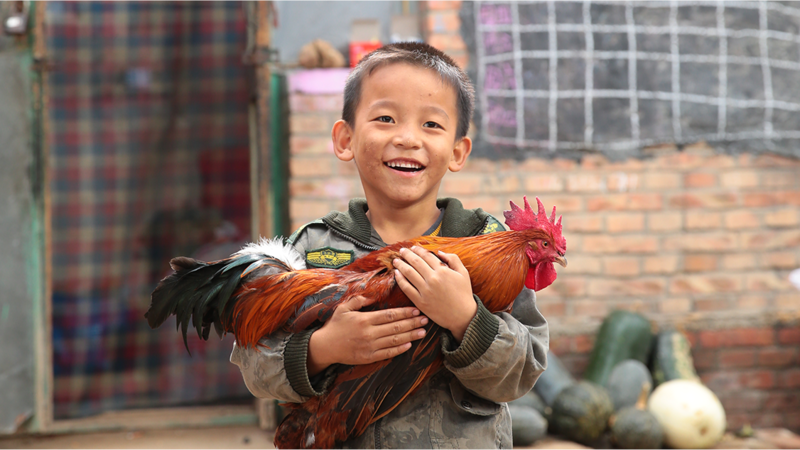 In May 2016, JD teamed with the local government on a poverty alleviation project, providing interest-free loans to farmers from local cooperatives that raised organic, free-range chickens. Liu and 51 other farmers participated, and six months later as Single’s Day approached, Liu and the villagers sold every one of the chickens online through JD.com. As a result, the farmers increased their annual income by several thousand yuan each.